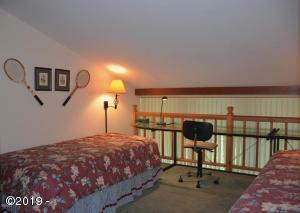 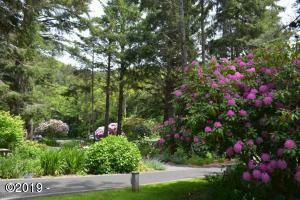 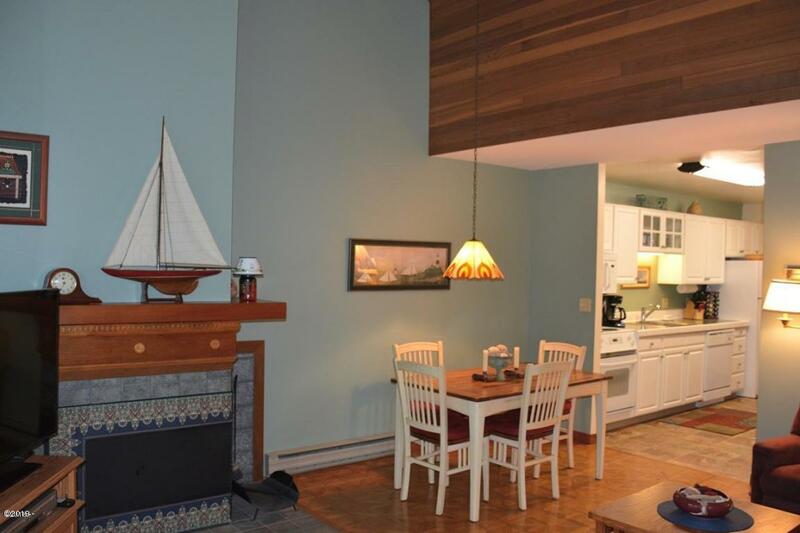 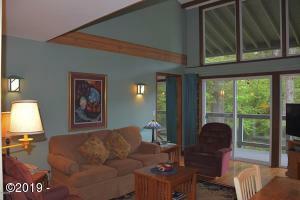 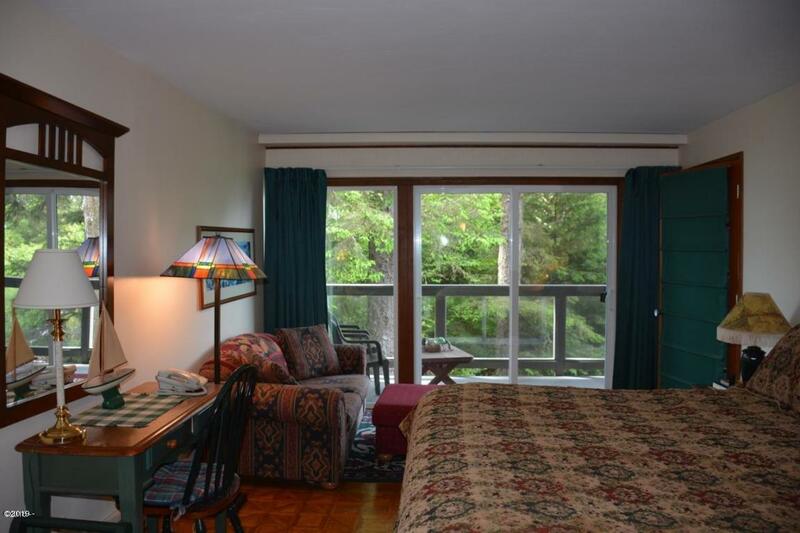 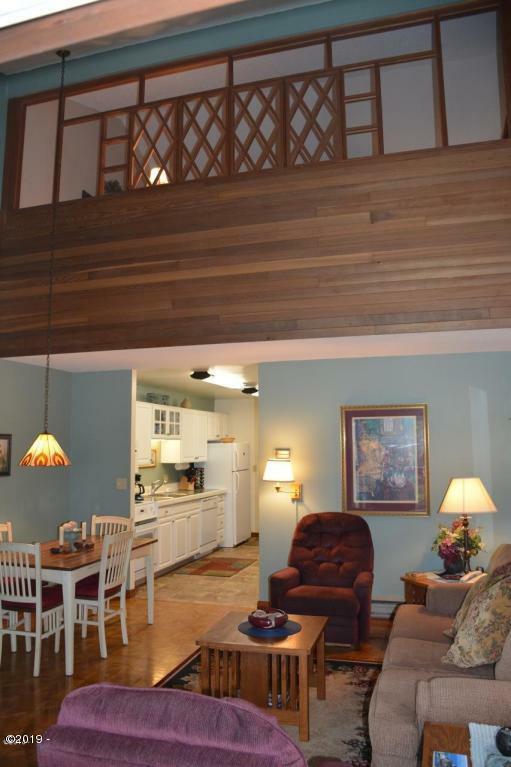 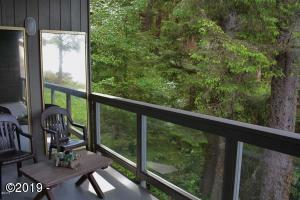 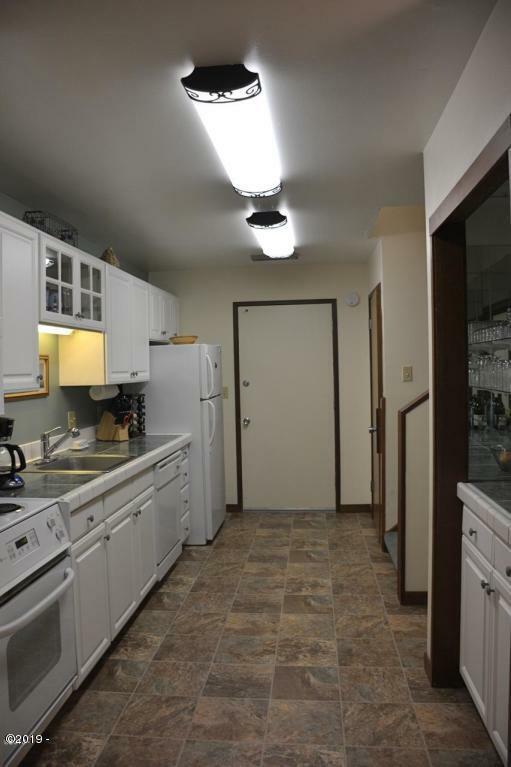 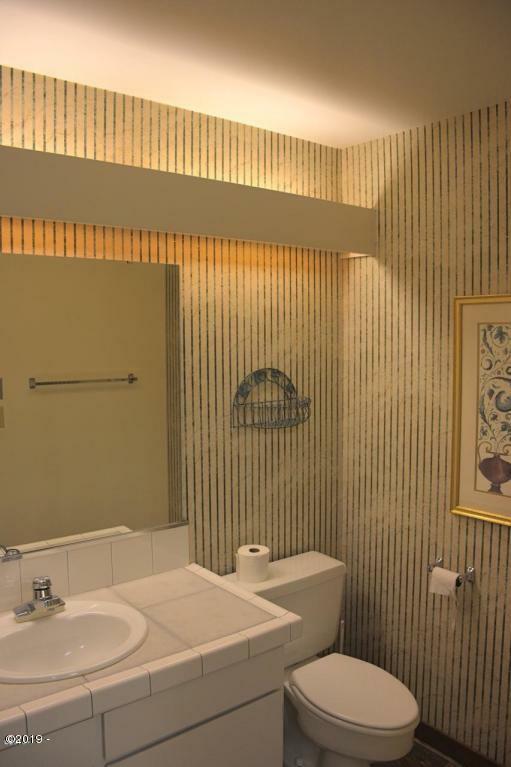 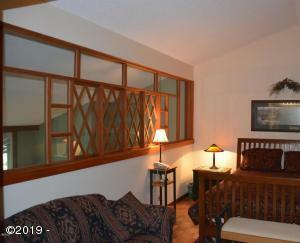 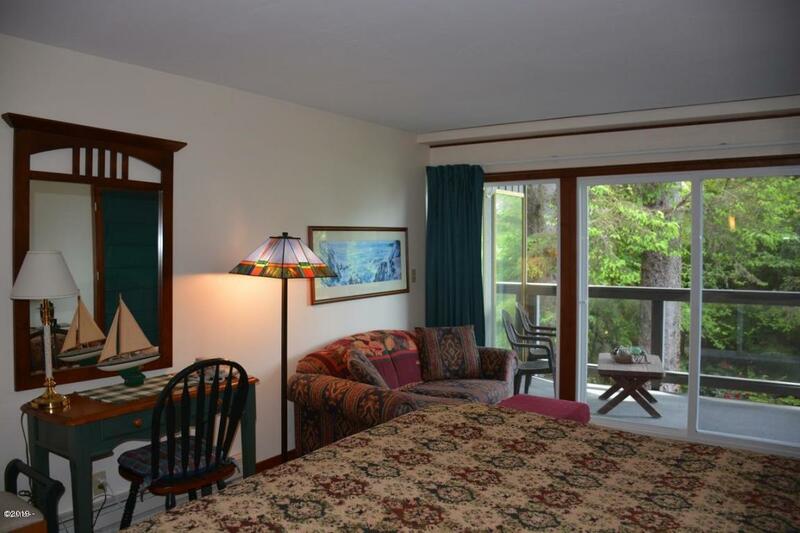 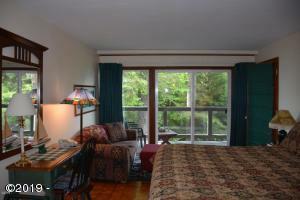 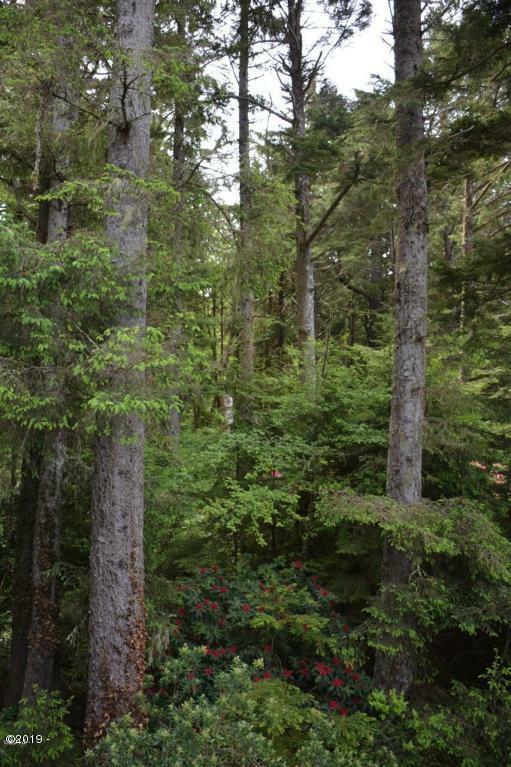 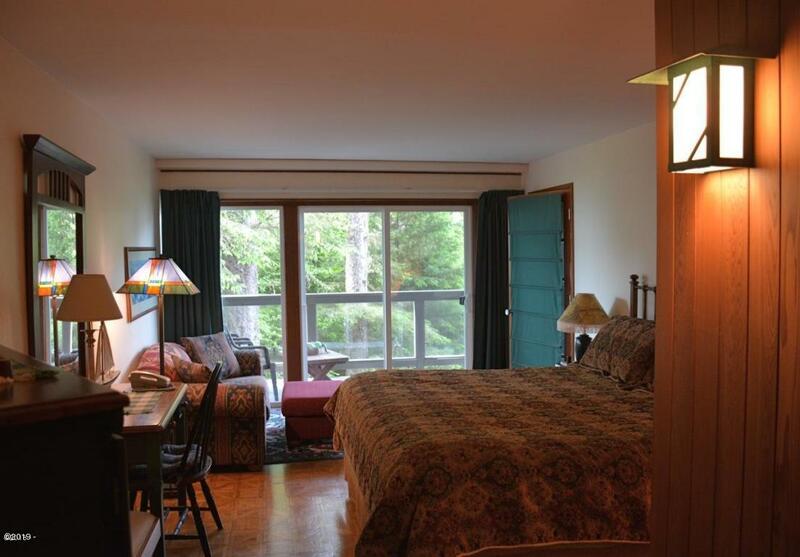 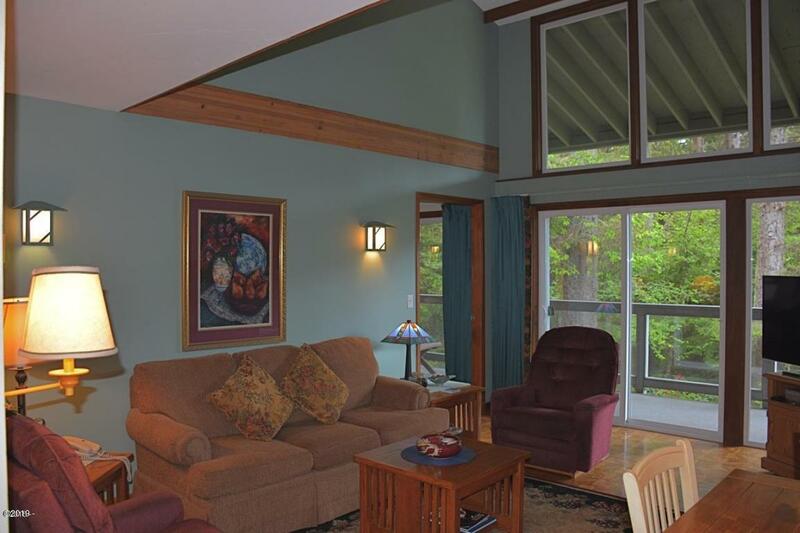 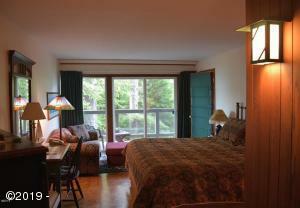 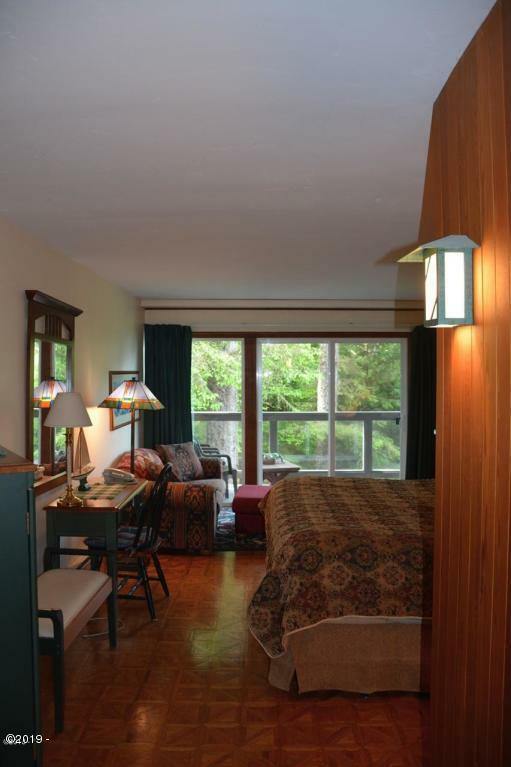 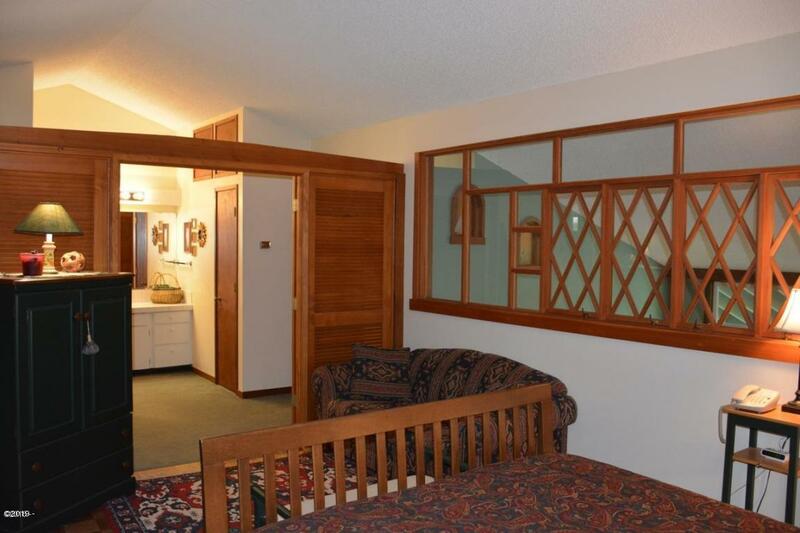 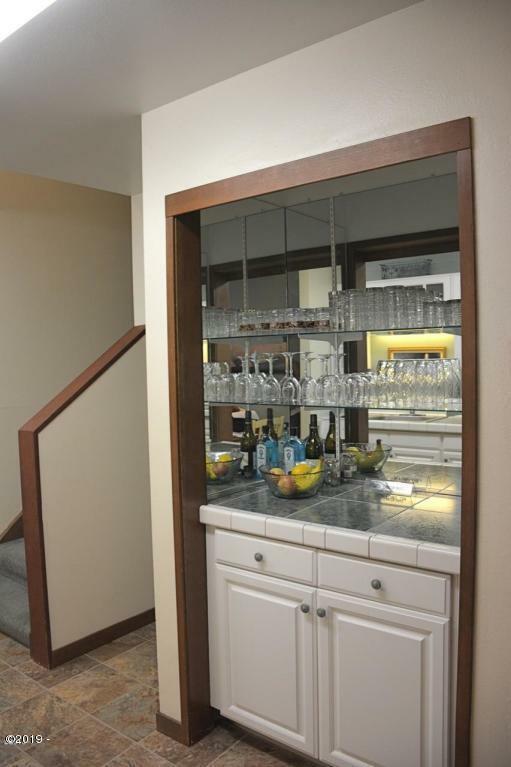 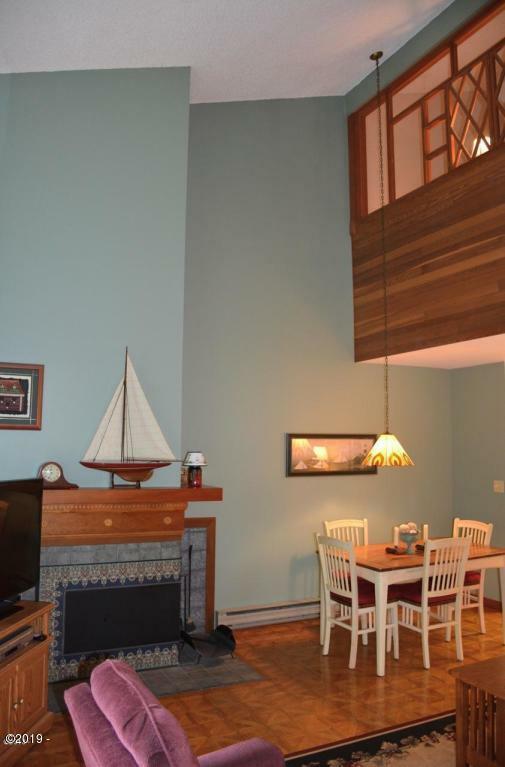 This lovely 3 bedroom, 2.5 bath condo with a large deck has ocean, duck pond and forest views. 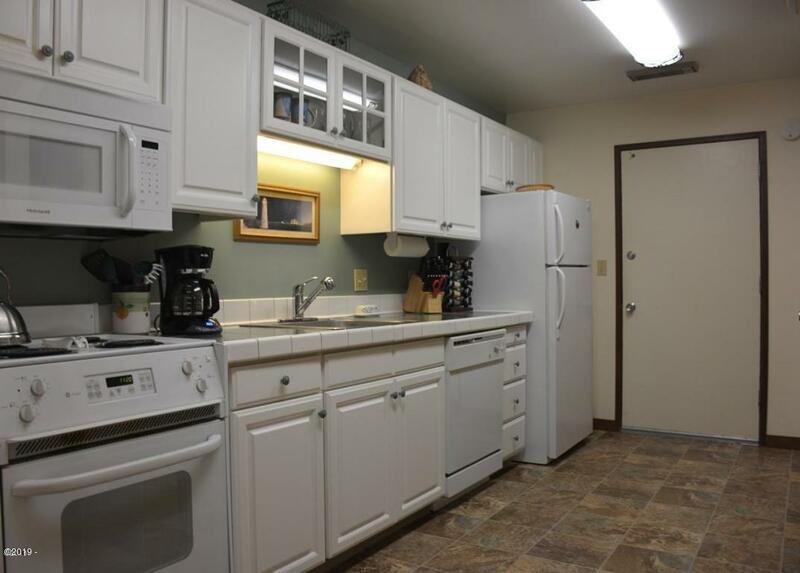 The white kitchen is bright and has a new floor and added dry bar area. 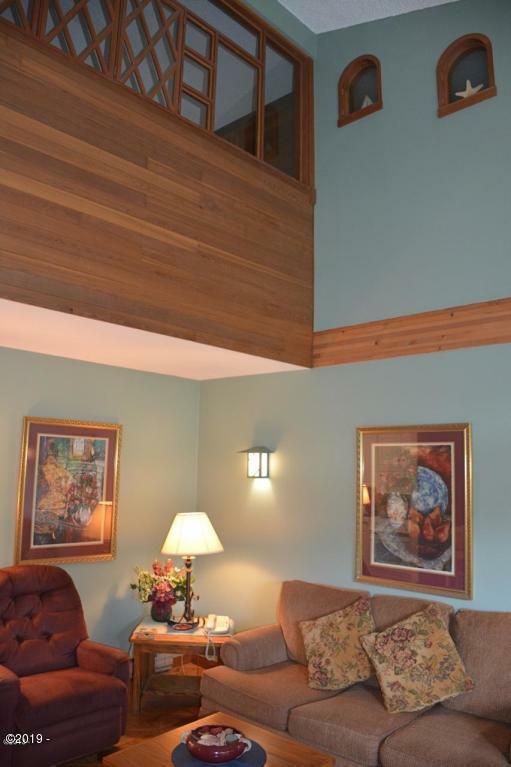 The living/dining room has a warm feeling with parquet floor, vaulted ceiling, double height windows and a gorgeous fireplace with a custom mantle. 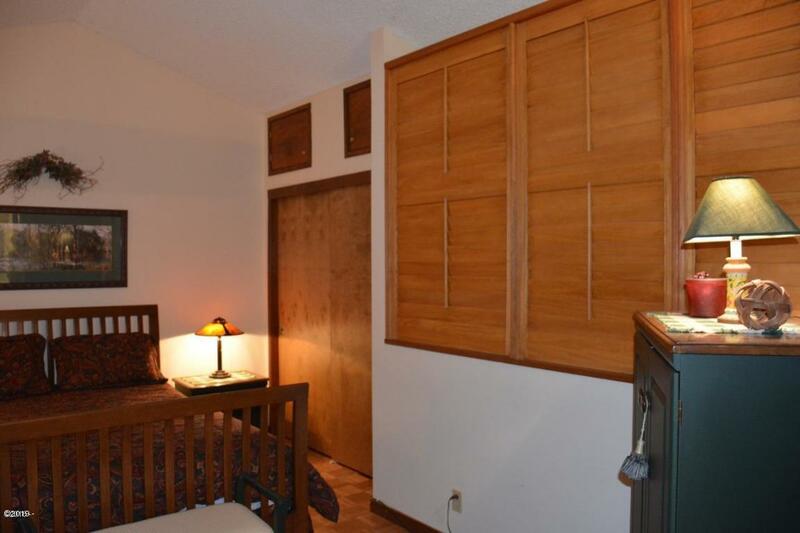 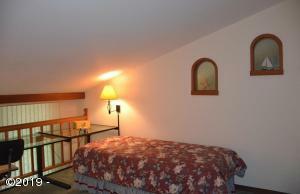 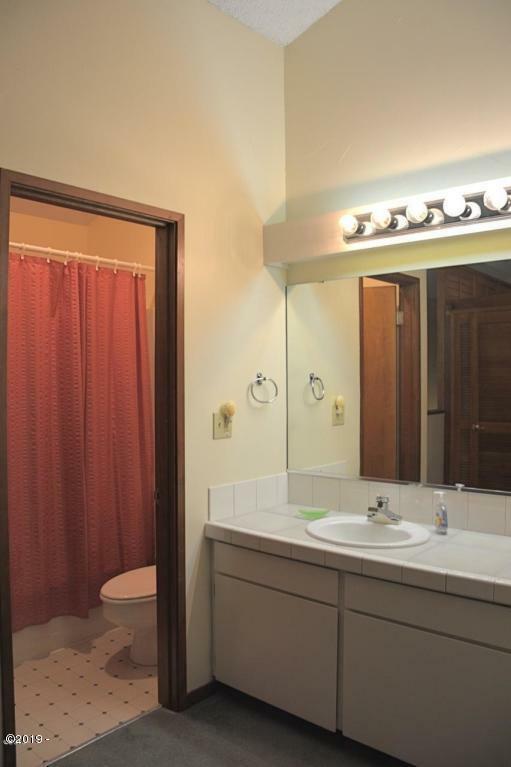 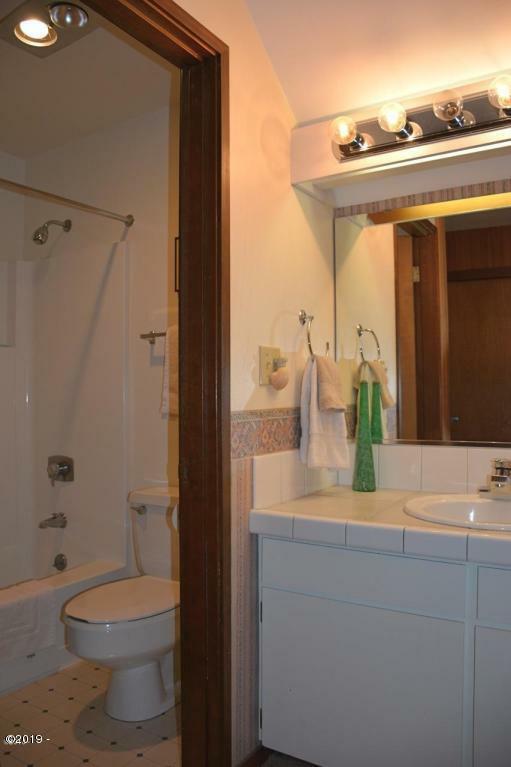 The main floor bedroom with full bath has a sliding door that opens to the deck. There are two bedrooms and a full bathroom in the loft. 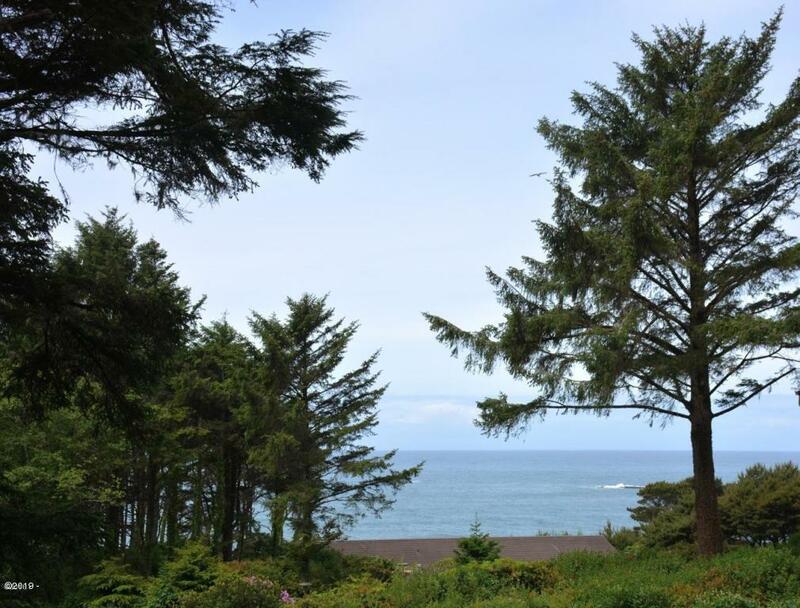 Inn at Otter Crest is a 35 acre resort with beach access, heated ocean front pool, jetted spa tub, saunas, tennis, children’s playground and more! Directions Highway 101 to Otter Rock/ Otter Crest Loop Road turn off. 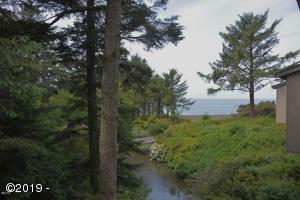 Follow Otter Crest Loop Rd toInn at Otter Crest entrance. Park in the lot by the lobby. 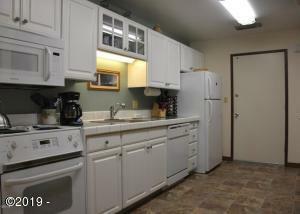 Unit 204-205 is in Building G.